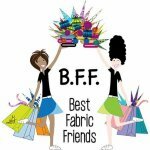 Allow your children 8+ to sew with us once a month and learn new skills and techniques. Let's jump into the exciting world of sewing! In this club we use both our hands and our handy machines to make oodles of fun projects that may include emojis, pajamas, aprons, messenger bags, zipper totes, infinity scarves, monsters and much, much, more. On the first day of class we survey our young sewists to come up with projects that are both fun and challenging for their experience level and interest. No experience necessary. All your sewist needs is a sewing machine, some supplies and a positive sewing attitude! Are you new to quilting and need to know what's going on? Self taught Quilter? This is for you!